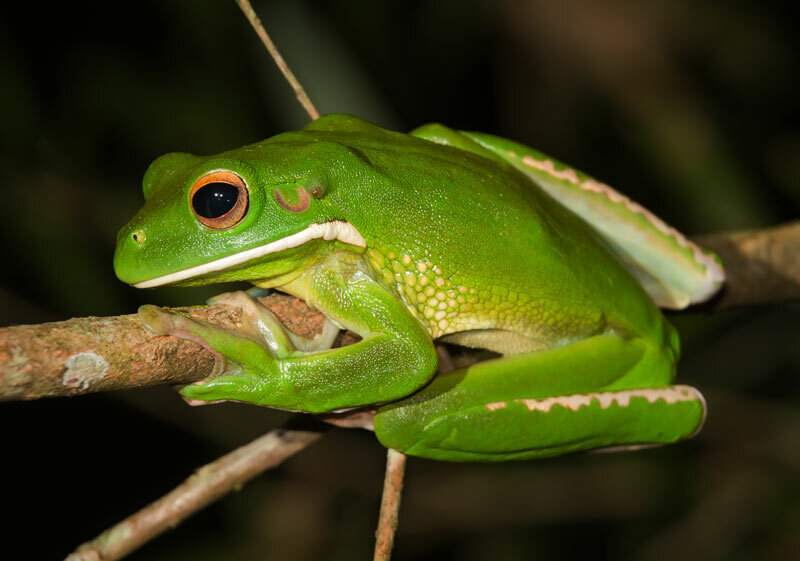 The White-lipped Tree Frog (Litoria infrafrenata) is the world’s largest species of tree frog and is native to the wet tropics of Queensland as well as parts of New Guinea. They are found in rainforests, mangroves, swamps and even in parks and gardens in urban areas. This species makes a loud, barking call most often heard in the rainy season. It also makes a cat-like mewing sound when distressed. 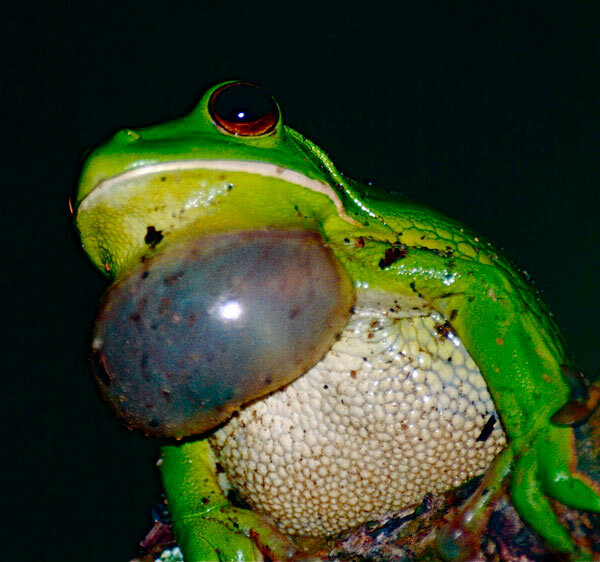 Choruses of male White-lipped Tree Frogs calling in the breeding season can be deafening! T326a This first sample features typical harsh barking calls of the White-lipped Tree Frog. One frog calls in the foreground with a second in the background. Recorded in a flooded Pandanus swamp in Daintree National Park, Queensland. T326b Similar to the first sample with two frogs calling prominently and others in the background. Recorded in a flooded Pandanus swamp in Daintree National Park, Queensland. 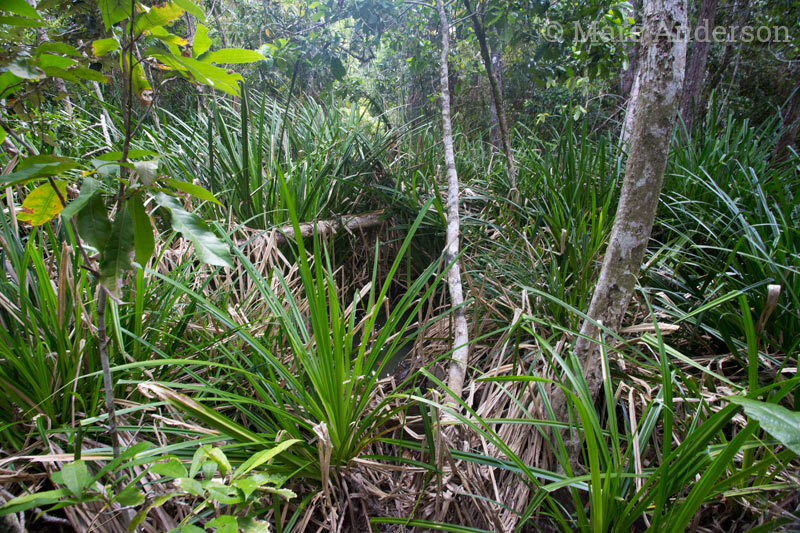 Typical habitat for the White-lipped Tree Frog – a patch of swampy pandanus in coastal tropical rainforest, Daintree National Park, Far North Queensland, Australia.